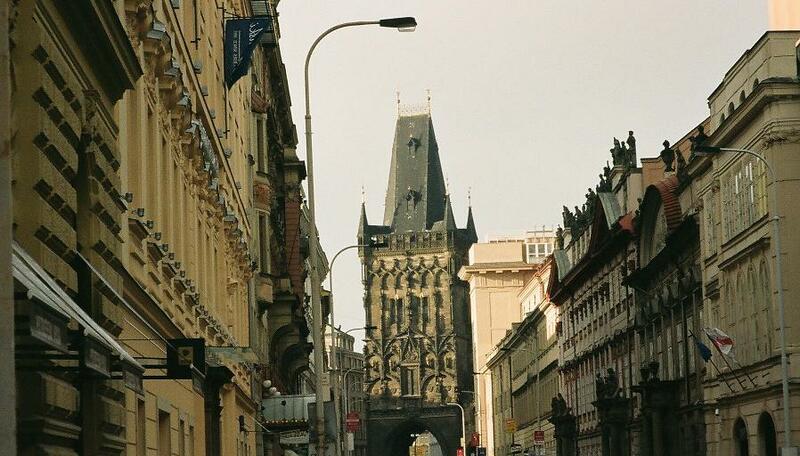 Gothic architecture, with its pointed arches and ribbed vaulting, can be found across Europe. It is probably fair to say that the further east you travel, the less Gothic you are likely to find. Gothic was a style developed in France and it is natural that there are more examples closer to its home base, but many fine examples can be found in central and Eastern Europe. Like most things, Gothic has been in and out of fashion. The style had a renaissance in the 19th century and this is described as either Gothic Revival or Neo-Gothic. The following buildings have been selected as good examples of Gothic and while the choice is not exactly random, it is based on the tastes of the Duck Holiday explorers. 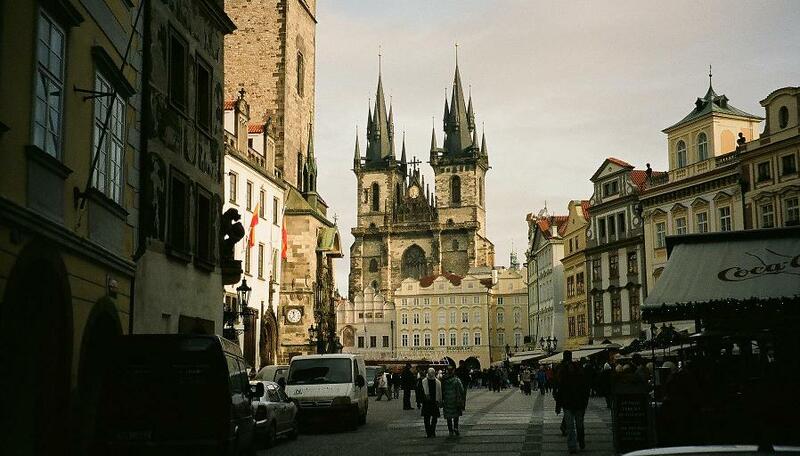 Prague is an excellent place for many things and architecture is one of them. 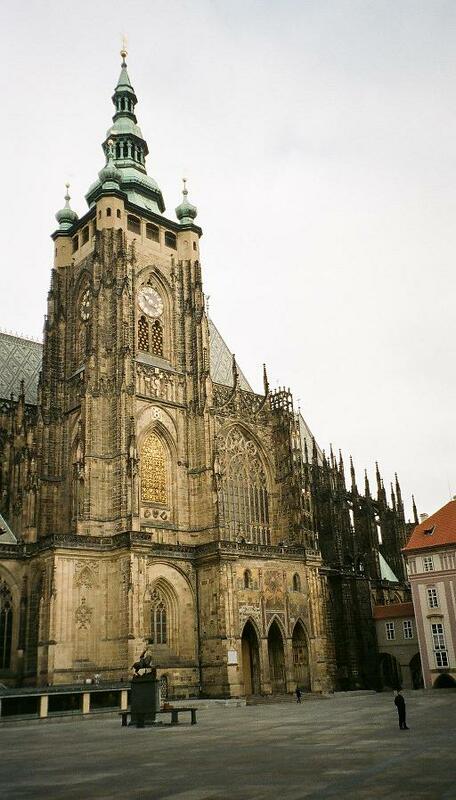 Perhaps the outstanding example of Prague Gothic is St Vitus’s Cathedral. 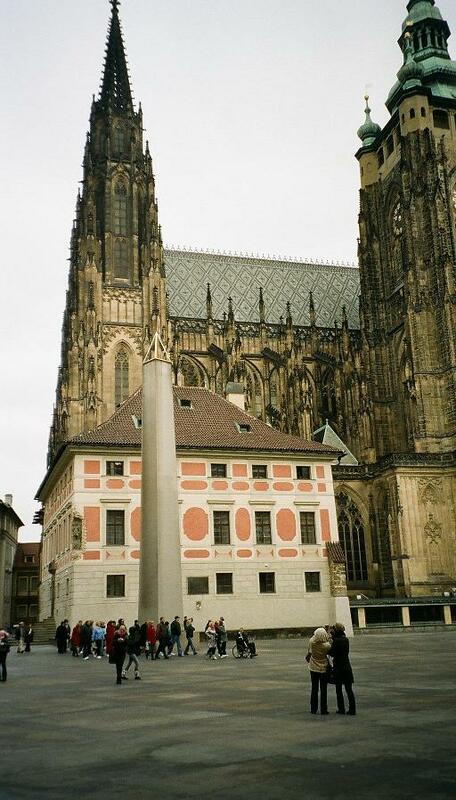 The present building, set within the grounds of Prague Castle, represents something of a trip through history, as there are elements from different periods. The original rotunda was built in the 10th century and the basilica during the following century. The main – and very Gothic – cathedral dates from the 14th century and there are 19th and 20th century additions at the western end, Neo-Gothic, but faithful to the original plan. The chancel is especially beautiful, with immensely high vaulting and intricate artwork. In the St Wenceslas Chapel, there are Gothic frescoes and biblical scenes. The chapel is almost an art gallery in its own right. The Royal Oratory provides a later example of medieval Gothic, with branches rather than ribbing. There are always little quirks in buildings that span several centuries and one of cathedral’s oddities is to be found in the bell tower, or rather at the top of the tower. While the tower itself is a Gothic structure, the cap is decidedly Baroque. 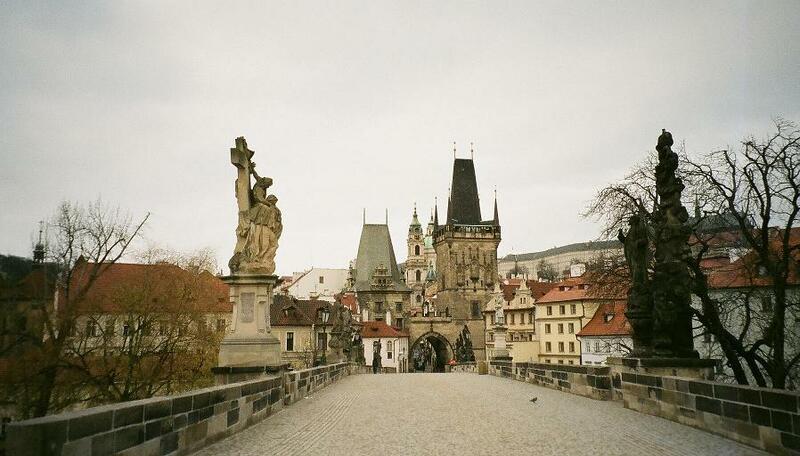 Prague is a city of many architectural styles, but there is plenty of Gothic. 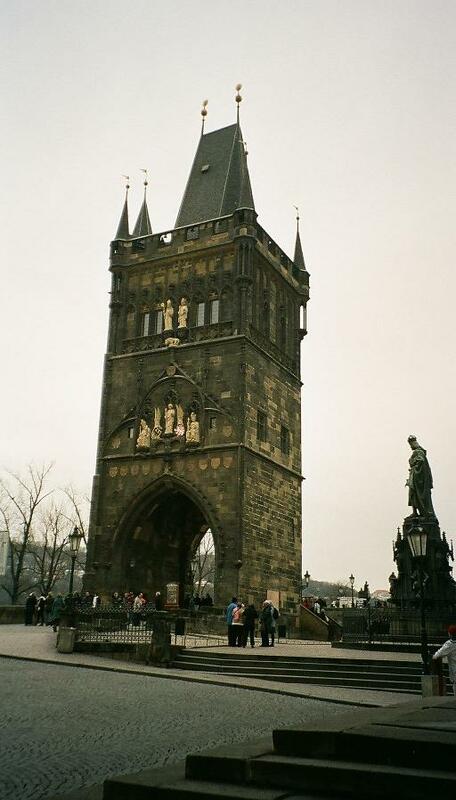 Check out the splendid little castle that is the Powder Tower at the castle or wander across Charles Bridge to the magnificent Old Town Bridge Tower. The latter was designed by Peter Parler, the same architect responsible for St Vitus’s Cathedral. Churches are rife throughout the city and many are of Gothic style. 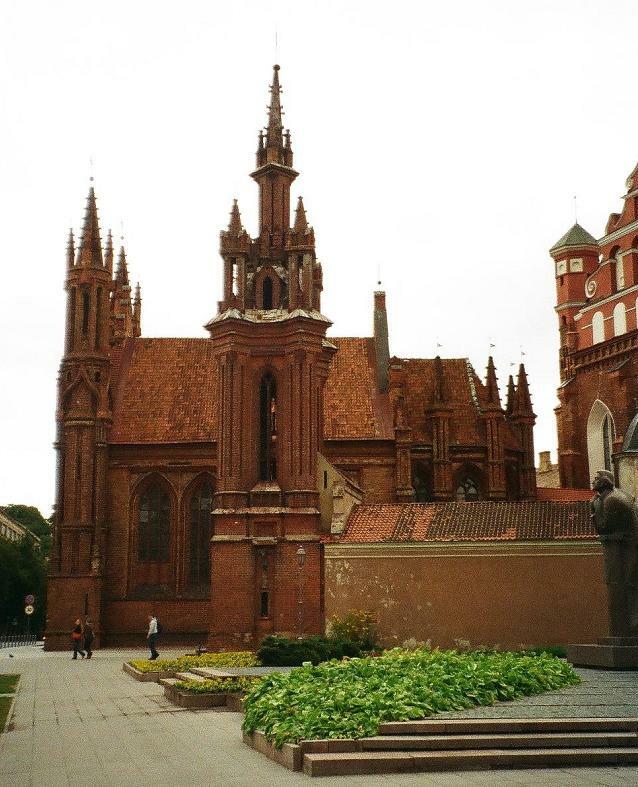 Two of the finest examples are the Church of Our Lady before Týn, which dominates the Old Town Square and the huge Church of Our Lady of the Snows, just off Wenceslas Square. 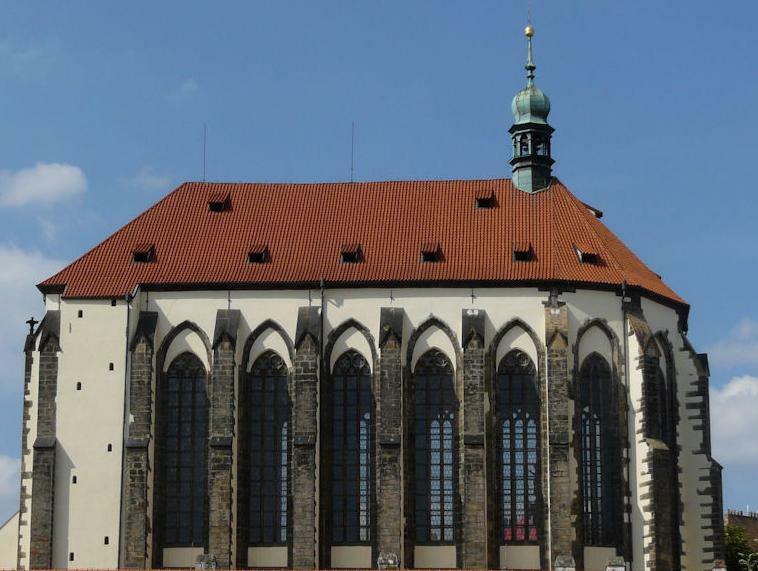 Also worth noting is Prague’s oldest synagogue, the curiously-titled Old-New Synagogue, with its Gothic main portal depicting a vine with twelve bunches of grapes symbolising the tribes of Israel. 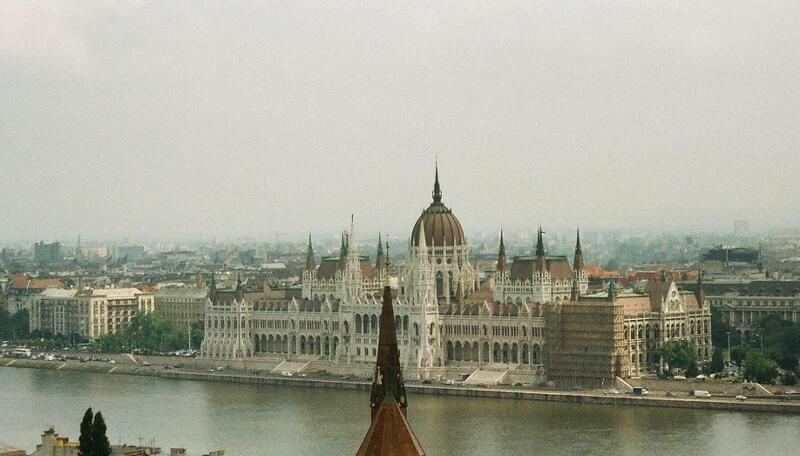 If the building of the Hungarian Parliament looks suspiciously familiar to British visitors, this is no coincidence. It was designed by Imre Steindl, who based his plan on the Houses of Parliament in London. The result was the Neo-Gothic masterpiece that stands beside the Danube on the Pest side of the city. The façade is a riot of gables, arches, pinnacles and sculptures. If the exterior is impressive – and it is – the interior is stunning. The extravagant central staircase is overlooked by typically Gothic arches, along with ceiling frescoes and sculptures. The dome, 96 metres tall, is laced with intricate gilding and its huge pillars are topped with figures of Hungarian rulers. Stained-glass windows throughout the building give it the look and feel of an enormous cathedral. In the castle district, the original Gothic Royal Palace no longer exists, though a few tantalising hints can be found in the Parish Church of Our Lady Mary, otherwise known as the Mátyás Church, originally built around the time of the building of the palace. It was converted into a Mosque by the Turks in 1541 and then almost completely destroyed in the liberation of Buda. It was then rebuilt in Baroque style, but this too was seriously damaged and another major restoration work, undertaken in the late 19th century, brought back many of its Gothic features. The beautiful rose window above the main portal is a faithful reproduction of the original medieval design. 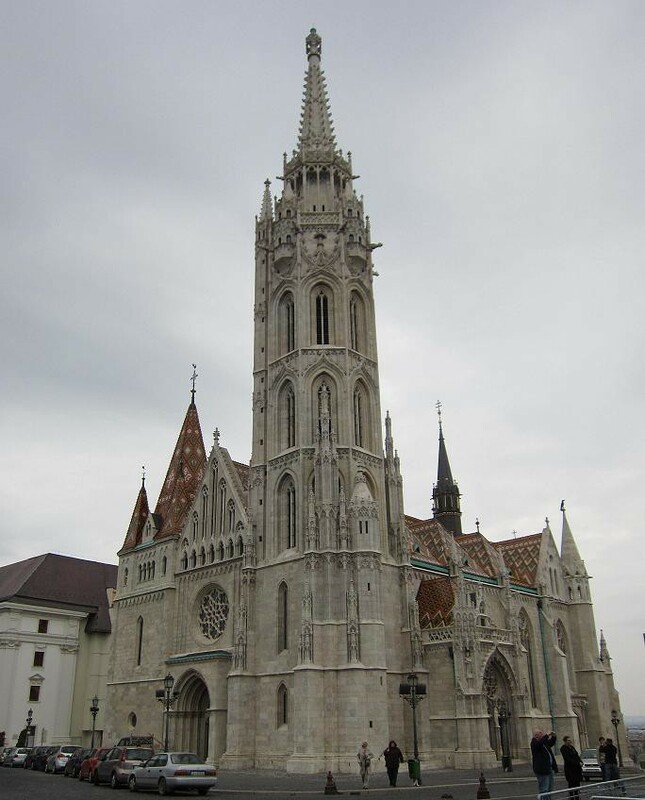 The sometimes turbulent history of Hungary has meant that a number of buildings have, like the Mátyás Church, been rebuilt, repaired and restored, often several times over. The result is that styles have become intermingled, so you can never be quite sure where you might find a little outburst of Gothic amid the Baroque, and vice versa. For Gothic aficionados, there is not an awful lot to get get excited about in Estonia. However, a trip to Tallinn’s Town Hall Square produces a notable gem. 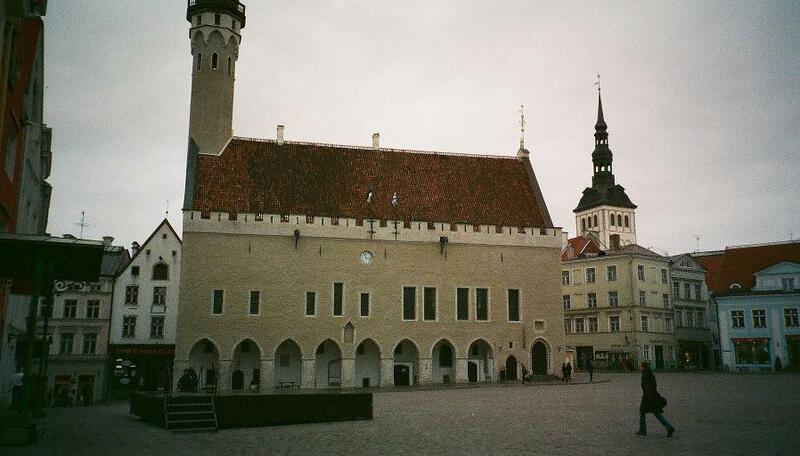 The Town Hall building itself is not only the sole surviving late Gothic building in Estonia, but is the only remaining Gothic town hall in Northern Europe. If the square bears a distinct resemblance to many in the north of Germany, this is no coincidence. 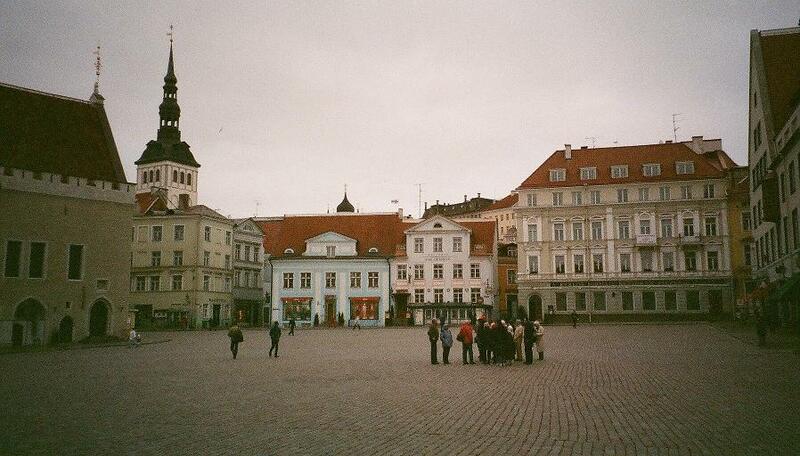 The square was the centre of trade for Baltic-Germans and a goodly proportion of the population of Tallinn was made up of Germans in medieval times. 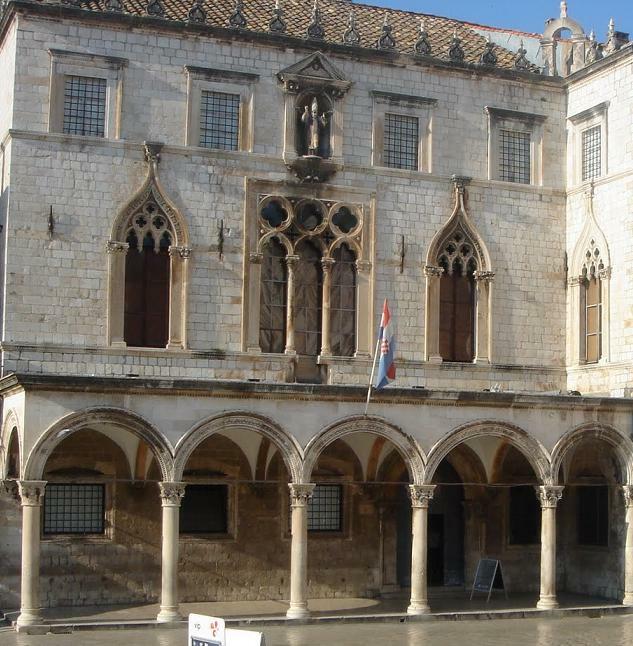 The town hall, completed in 1404, is an impressive building both externally and internally. The whole building has a distinctly Germanic feel, which is unsurprising given that it is largely the work of German architects, artists and craftsmen. Indeed, for a long time, all documents were written in German, even during periods of Swedish and Russian rule. The sole exception to the German theme are the tapestries, which are of Flemish origin. Town Hall Square has some other claims to fame. The pharmacy, dating from 1422, is still used for that purpose, although the medicines are a little different to what one may have found in its early days. In 1441, a large Christmas tree was displayed in the square and this is believed to have been the first of its kind. Baroque predominates in Lithuania’s capital, but there are Gothic treasures to be found, notably among some of the city’s churches. One of the best-known, and best-loved, of these is the Church of St Anne, on the eastern edge of the Old Town. The church is part of the Bernardine Friary, though there is much uncertainty about the exact date of its construction and, indeed, who constructed it. It was believed to have been the work of 15th-century German craftsmen, but more recent evidence suggests that it was built during the following century by locals. Whatever its origins, what is not in doubt is that it is a magnificent display of Gothic brashness, all sweeping arches, studded steeples, narrow windows and octagonal towers. This is as Gothic as Gothic gets and images of the church adorn souvenirs from Lithuania, from postcards and calendars to chocolate boxes and biscuit tins. Tradition has it that Napoleon was so charmed by the church that he wanted to carry it back to Paris in the palm of his hand. The only disappointment is to be found on wandering inside the church. The interior is surprisingly spartan, but this is a minor quibble. The church deserves its place on any list of great Gothic buildings. 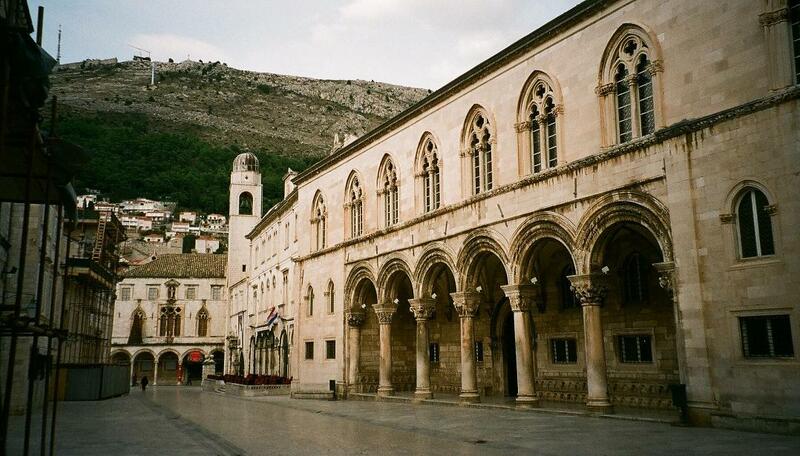 Further south, in the Balkans, Gothic can be hard to find, but there are outposts and oases to be discovered. Frequently, there are Gothic elements to buildings or Gothic buildings within a larger complex. An example is to be found at the Franciscan Monastery. The cloisters were designed by an architect from Florence, Maso di Bartolomeo, with some additions made by local stonemasons. This result is a classic late-Gothic masterpiece, its pleasing aspect enhanced by the orange and lemon groves in the courtyard. The Rector’s Palace, about 200 metres south of the monastery, is one of those buildings that rather defy classification. This is largely due to the fact that it has been rebuilt so many times, suffering the inevitable results of gunpowder accidents in the 15th century. The first rebuilding produced a Venetian-Gothic style, but after this one suffered damage, the restoration work left an eclectic style all of its own. The original rebuilding, incidentally, was undertaken by Onofrio della Cava, whose magnificent fountain stands behind the city gate as you enter the Old Town. The mix of style can be seen immediately by the visitor. The entrance is a loggia with marble pillars. The outer pairs are the original Gothic, while the three in the middle are in the Renaissance style. 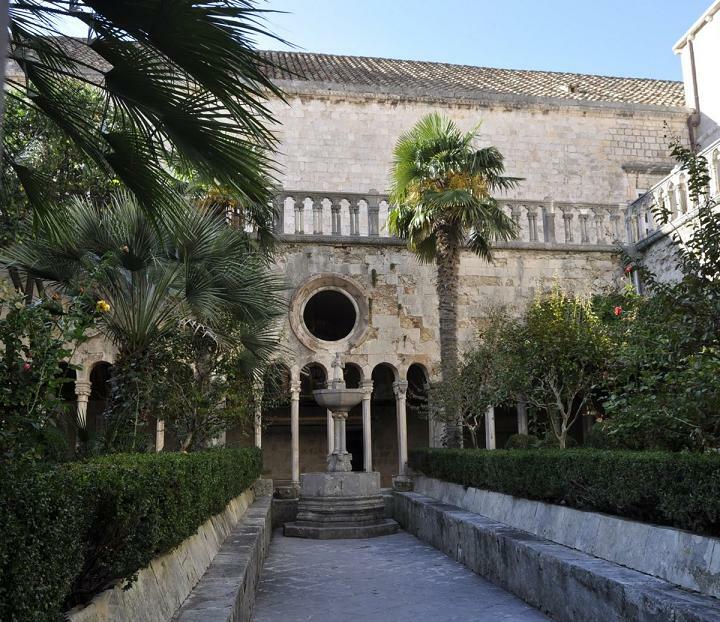 Located half way between the palace and the monastery is the Sponza Palace, which also has a mix of Venetian-Gothic and Renaissance. The entrance is via a Renaissance portico, but the first storey is in the Venetian-Gothic style, though this, too, has Renaissance elements in the form of the windows. The main purpose of the palace was as the customs house (it is next to the port) and today, it houses two museums. 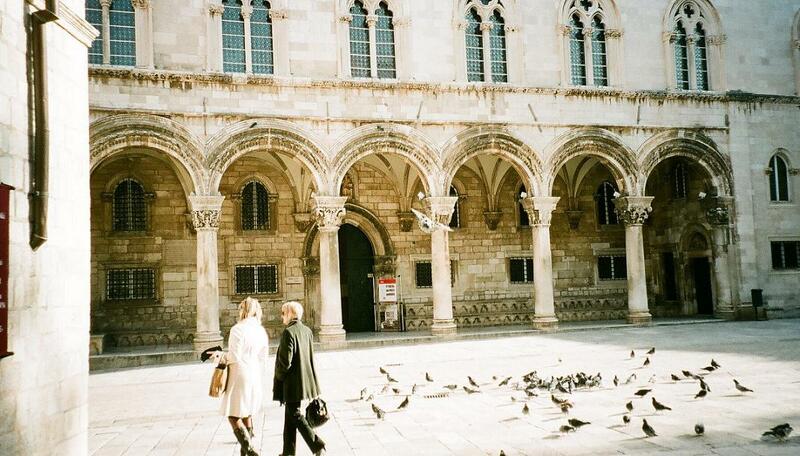 Dubrovnik has suffered variously from the careless use of gunpowder, earthquakes and wars. All of these, of course, mean damage to buildings, so it is not surprising that many of its older buildings have such an intriguing mix of styles. Amongst it all, there is Gothic. Sometimes, you just need to look a little harder. This entry was tagged Architecture, Budapest, Dubrovnik, Gothic, Prague, Tallinn, Vilnius. Bookmark the permalink.